Who could use some brightly colored screen shots to perk up their day? Well, how about some new Major Minor's Majestic March media? Majesco has 16 new, nearly identical new shots of the game. While the new screens don't, in any fashion, illustrate any variety in the NanaOn-Sha developed Wii title, they show that creators Masaya Matsuura and Rodney Alan Greenblat of PaRappa the Rapper fame haven't lost their touch, stylistically. 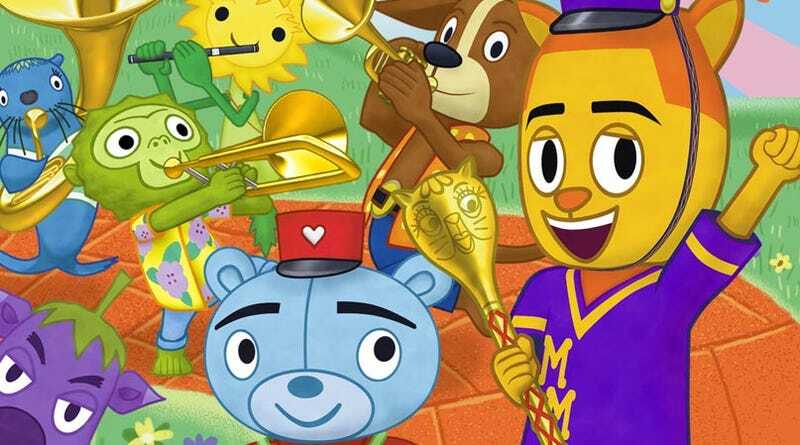 But variety Major Minor's Majestic March has, according to publisher Majesco, who promises 7 fantastical locations, 30 new band members and 20 different instruments. That's 57 things! Coincidence?! I think not.